Crafting your perfect home meditative space can be very worthwhile to do. It might be that your children have now flown the nest, and you feel like engaging in a form of scheduled relaxation daily. It might be that you work a high profile job, and your ‘relax hard’ is as important as your ‘work hard.’ In general, it could be that you simply need to chill the heck out, and crafting a beautiful meditative room can achieve that. Creativity often abounds in this spaces, so we wouldn’t blame you for trying to implement this to the best of your ability. There are inferior and superior ways of crafting a perfect meditative space for you. While some people might have variant tastes and can mostly relax high intensity music while doing bodyweight exercise, we’re going to assume that you are more of the usual homebody, and take a strong view that peace equals relaxation. Often, sound proofing can help us stay focused on the activities we hope to perform in this room. It’s becoming less and less expensive to install these foam sound repellents on the walls of our home also, so this could be a truly feasible option. Not only does soundproofing allow you to prevent sound from escaping (perfect for those unattractive Yoga grunts,) but it will prevent sound from entering the room to a distracting degree. While it might not seem like hearing outside noise takes you out of your meditative trance (and can sometimes be actively helpful,) a space to retire to is usually not synonymous with noise. This is also a perfect tip for if you hope to practice instrumentation in your room, or hope to chant and perform singing exercises. To do this without fear of being heard can gift you a sense of home utility and happiness, ensuring that you are less embarrassed than you need to be in the search of your goals. Sound proofing is easy to install (it will take around one afternoon depending on the size of your room,) and can add to the long term utility of your space. There is almost no ability to meditate when completely divorced from the natural world. You might be able to replicate it somewhat, but it will be much less optimal. This is a strange fact of meditation and performing forms of yoga, that when sealed from natural life the event feels a little different. This can be experienced by meditating both in the peace of a natural wood reserve and then at home. When fresh air flows into your lungs and the peace of plant life is around you, things feel much less stressful and much more open. This sounds like a very strange fact, but it’s absolutely true. This is emphasized by the scientific fact that those living in an urban environment experience much less stress when within a mile of an open green space than those who are surrounding on all sides by the concrete jungle. 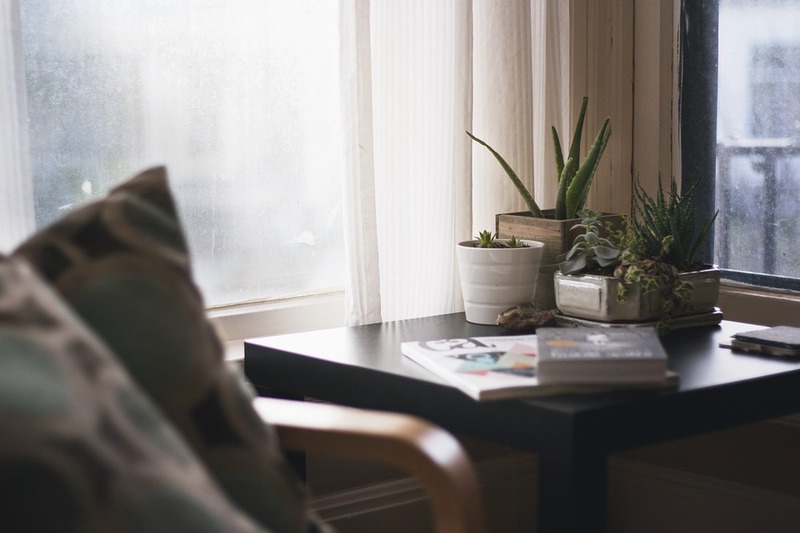 Plant life is important to ensure that your room takes on a natural tone. There are many different easy to cultivate flower breeds, indoor wall hanging fixtures and even cacti that can be elegantly installed in this space, and we’d absolutely recommend doing so if you’re interested in making your meditative room the most stress reductive and organic place possible. The temperature of your room needs to be regulated. High ventilation is a must, meaning that open windows and vents are essential to breathing easily and helping the room take on the most fresh atmosphere possible. This is even more true when we consider the fact that summer is almost here, and it promises some extremely high temperatures. We’d recommend a service such as ABC Home & Commercial AC Repair to install this fully in your property. You can isolate key points in the home where you can influence this AC control, and allowing for a dial in the meditative room as soon as you enter could be one of the wisest places to install this. If you craft a meditative room, it is likely that you’ll be using some equipment here. This could be anything from a prayer mat to yoga equipment and even small bodyweight workout materials. It might be a select uniform, cushions, musical equipment or screens and speakers. It’s important to consider that in a room you hope to stretch in, you organize your home space in a manner that makes the most sense to you. However, our rooms often influence our minds, and when our room are messy, so is our perspective. This is the one room that makes the most difference, and the idea of ‘everything in its place,’ can yield the most fruit. There are many creative ways to implement storage in this area. You can choose to section off space for a storage unit, and therefore shorten the net size of the room in exchange. Just be sure to have your items out the way, easy to categorize and index, and that the storage units won’t defeat their purpose in the first analysis by getting in your way. With this previous point in mind, it can be instructive to understand how you’d like the orientation of your room to affect what you hope to do there. Some folks who meditate enjoy doing so with the breeze on their face, or in the twilight hours while watching the sunset. It might be that a full length wall mirror alongside one of the sides of the room could be important in practicing dance, stretch or yoga moves. It might be that lateral space is more important to your than narrow space, and so tailoring the room requirements to fit this is the very first thing to do. Before you make any hard and fast decisions be sure to gain the real dimensions of the room with a tape measure and note them down. Create a basic 1:4 floor plan on paper, and try to ascertain how the implementations of your room will either positively or negatively inform this space. Most of all, ensure that you are realistic about your requirements. While it might be cool to bring in a furniture item or added seating, keeping the room minimal will allow for you to keep the room more akin to your original intent. If you enjoy meditative activities, we’d recommend that soft flooring is the way to go. Yoga can be performed on hardwood floors, but it can be dangerous like this. Either purchase many soft mats that aren’t liable to move when pressured, or simply ensure the entire room is laid with soft carpet or even better, foam flooring. Ensure that this installation is feasible and allows for a much better impact when stretching or hitting the lotus position to any competent degree. Installing flooring is often simple and cheap when using materials like this, but be sure to commit to the proper diameter of your space, and ensure that the interlocking pieces fit together well. For safety it can be important to fix the spaces well, so consider the flooring underneath. Foam flooring on carpet can sometimes be difficult to keep in place, while hardwood flooring often requires an exacting placement. When you take all this into account, you can be sure that your meditation sessions take on a new light, and inform your life for the better! LeavingSpace for Memories in a New Guest Room.